Cucumbers revealed to be highly sensitive to sound, scent and touch. So I, Make It Rayne, have decided to daringly go where no Make It Rayne has gone before. 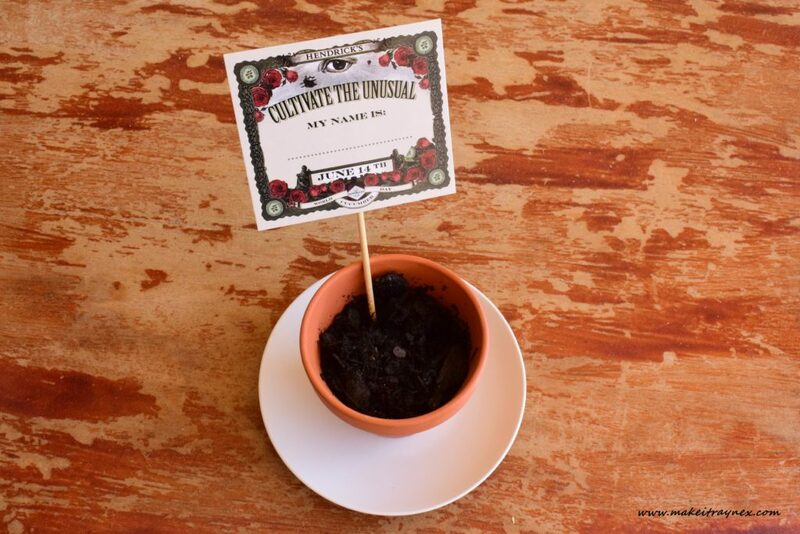 I will be collaborating with my favourite gin company – Hendrick’s Gin – on their #CultivateTheUnusual campaign. 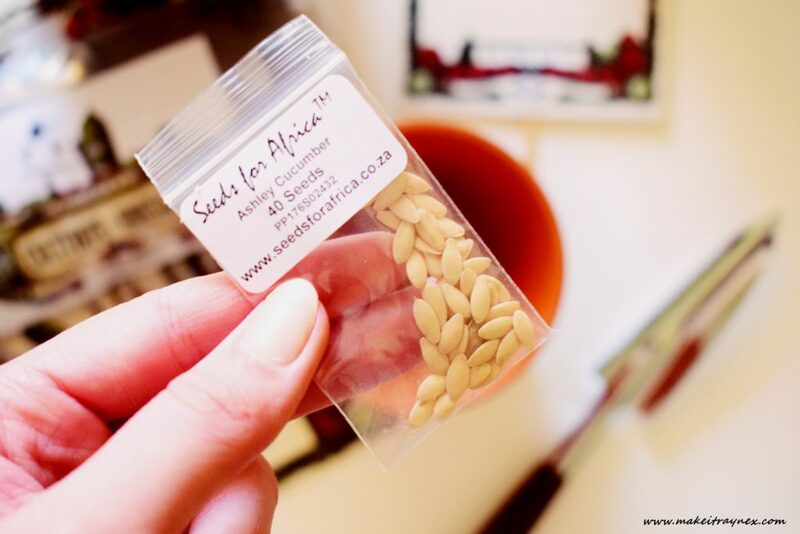 We have each been geared with the correct items to cultivate a cucumber at home – in the most unusual way. I SO do not have green thumbs, so wish me luck and take a peek at the press release below then follow me on my journey (with my non-green thumbs). Hendrick’s Gin has conducted a somewhat unorthodox, but genuinely scientific experiment with cucumber scientist Graham Brown of the University of Sydney to quantify the true sensitivity of cucumbers – and the results revealed today are astonishing. Exhibiting traits usually associated with sentient beings, the green fruits show undeniably impressive abilities for reacting to outside stimuli, and grow larger and juicier as a result of unconventional caring methods, indicating they are acutely aware of their surroundings. The gin-maker is now inviting budding botanists (that’s me!!) 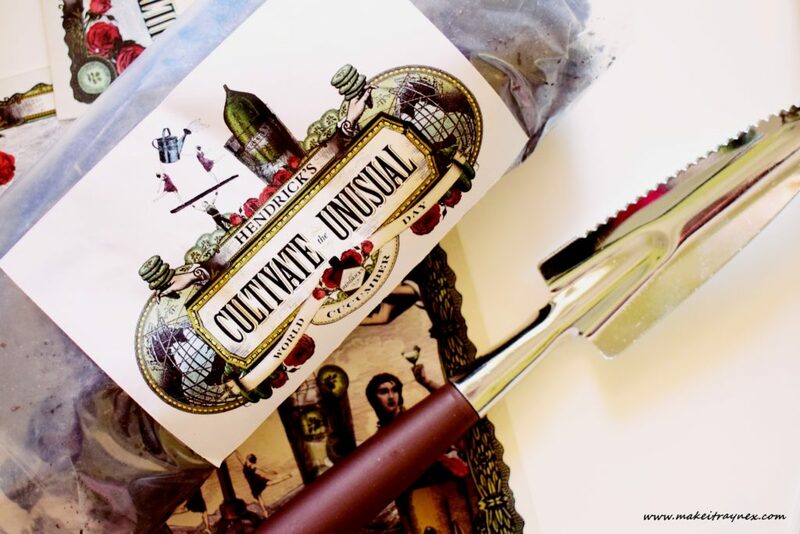 to join in a global experiment to cultivate the most flavoursome cucumber. Taking inspiration from the avant-garde caring techniques used by Graham, in time for World Cucumber Day on June 14. As they grew from blind seedling to majestic maturity, three groups of cucumbers were exposed to a particular genre of music: classical, jazz or rock, using a CD boombox at maximum volume. A fourth group sat in uncomfortable silence. The cucumbers that listened to rock produced measurably larger, better-tasting fruits, cylindrical in shape, with no curving and smooth dark green skin. In stark contrast the jazz plants showed disdain for their music by producing malformed fruits with curved and pointed edges. The plants exposed to classical melodies displayed a tangible fondness for it, growing healthy and shiny skinned after listening to Beethoven and Bach. Mr. Brown comments: “We knew plants sense and respond to acoustic energy, such as soundwaves using the trichomes, or hairs, on their fruits and leaves, but we weren’t expecting them to display such a definitive taste in music. Dry matter accumulation (the build-up of physical mass) was highest in the rock music treatment, indicated by the fact the plants grew larger as they were able to harness more light and photosynthesise more. The extra growth, perhaps triggered by hormones, gave a more bountiful harvest of larger and juicier fruit. Not only do cucumbers love music, but they also show preferences for certain scents. Despite having no conventional sensory receptors associated with smell (AKA a nose). Growing specimens were divided into three groups. One spritzed with dill, another with sage and the final group was left scent free. Mr. Brown explains: “Plants can sense chemicals in the air, such as volatiles released during grazing by herbivores and respond by increasing production of protective chemicals. The final test saw subjects bundled into tiny sleeping bags for added protection and comfort. Resulting in their skin growing softer and lighter. As well as their flesh sweeter compared to those left naked and exposed. Furthermore, the humble green fruits use a developed sense of touch to help them grow. Using their tendrils to feel and reach for surfaces to hold onto for support, particularly at night. It seems they are aware of their surroundings and can sense objects nearby. Graham, who has investigated and bred plants for over 30 years, began working with cucumbers ten years ago in his research lab in Sydney. Where he has every scientific contraption available to measure the plants’ reactions to the outside world. This research helped Hendrick’s Gin to develop a more meaningful understanding of its preferred garnish. Individuals can now put Graham’s findings to the test, and probe their own imaginative hypotheses. By singing to the fruits as they grow or reading the young seedlings classical literature at night time. By cultivating and pampering their own cucumbers, green-fingered individuals will play their part in celebrating World Cucumber Day. An annual celebration inviting people to embrace the unusual in honour of the remarkable and virtuous green fruit. Duncan McRae, Hendrick’s Gin Global Ambassador, says: “We have always held the cucumber in the highest regard. Our gin is infused with cucumber and rose, after all. So we are delighted to invite individuals, who share our dark passion for the green fruit, to join our voyage of discovery. We bid people everywhere to uncover the true extent of its sensitivity. By growing or adopting one themselves and devising their own experimentations to satisfy their own natural curiosity. Those growing their cucumber plants at home will be assisted by a series of cultivation tips devised by Graham. Such as how to pollinate the flowers with a soft paintbrush to ensure the crop of cucumber fruits is plentiful. And placing bamboo sticks around the crop to give them a structure to climb. 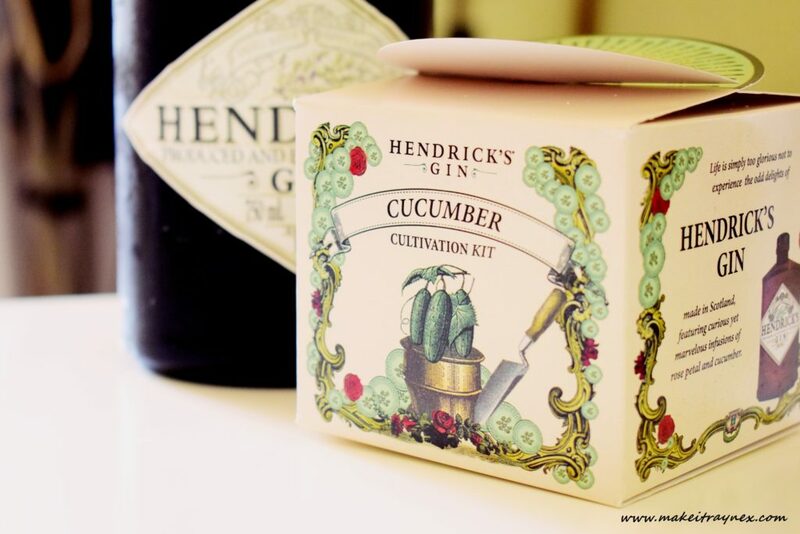 For those with limited time, help is quite literally at hand via the Hendrick’s Cucumber Adoption Service. Furthermore, this novel technology evokes memories of the 90s Japanese digital pets, but with a refreshing horticulturalist twist. Over three months, green-fingered adopters will be able to plant, nurture and harvest a cucumber via Facebook. Throughout the nurturing period, the Hendrick’s Cucumber Adoption Service will send photos of the plants to their proud owners. This aids in stimulating cucumber wisdom and trivia to enthrall and entertain. Hi guys. I don’t have a name yet! I am a nameless cucumber. Please leave suggestions in the comments below. I will be a much happier cucumber once I have a name. Lovely post! What a fun and fabulous initiative! 🙂 If she is an English Cucumber I suggest we call her Elizabeth Margaret. Or just Maggie in short ?